Valentine’s Day is almost here, and that means it is time to find the perfect outfit. While there are always occasions calling for a classic look, some celebrations call for an outfit a little more casual. 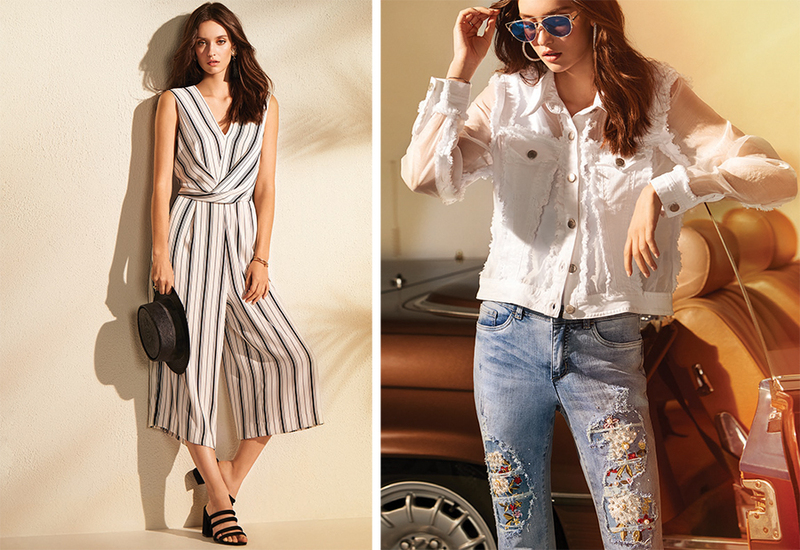 Here are a few of our favorite looks to rock this holiday, no matter if you are strolling through a vineyard or trying out a chic new restaurant. Classic: As the name suggests, you cannot go wrong with this romantic look. Break out a chic red number like this Joseph Ribkoff dress for those special plans that might include an intimate candlelit dinner or an evening at the theater. Fun & Flirty: This look is great for transitioning from daytime to evening plans and is appropriate for an array of Valentine’s Day activities, no matter whether you are enjoying a wine tasting or heading to a new restaurant. Below, these Joseph Ribkoff dresses are both figure-flattering and fun with their bold prints. Casual & Feminine: Even when your plans call for something a little more casual, you can always keep it feminine and trendy. This look is perfect for a daytime activity like a vineyard tour, catching a matinee or visiting a favorite art gallery. The Joseph Ribkoff jumpsuit and chic jacket are perfect for an afternoon on the town. Ready to pick out your own Valentine’s Day look? You can shop for these outfits and more at Verdigris on the Charlottesville Downtown Mall. You can also find more style inspiration in the CHO•ho Style section of our magazine, as well as the perfect accessories at the Charlottesville Wine & Country Shop! Wine & Country celebrates elevated living in the heart of Virginia Wine Country. Charlottesville Wine & Country Living, a semi-annual magazine of Life & Style in Jefferson’s Virginia, and Charlottesville Wine & Country Weddings, an art book celebrating elegant country weddings in Jefferson’s Virginia, are accompanied by the Charlottesville Wine & Country Shop in Ivy, VA, a beautiful lifestyle boutique featuring over 40 Virginia artisans with everything from tailgating essentials and Dubarry attire to locally made foods, award-winning Monticello AVA wines as well as craft beverages for your next event. Wine & Country Experiences are now also available and include exclusive tours and hands-on classes with leading professionals in the local farm-to-table and vineyard scenes. © 2015 Charlottesville Wine & Country Weddings, All Rights Reserved.